Factory Repacked (Never Been Used) with 3-Month Warranty! This TV combines the features of a TV/Monitor with a Thin Film Transistor liquid crystal display(TFT-LCD). This new generation of TFT-LCD incorporates a high quality display in a light weight module. As such the unit has power-saving capabilities and emits no X-ray radiation. 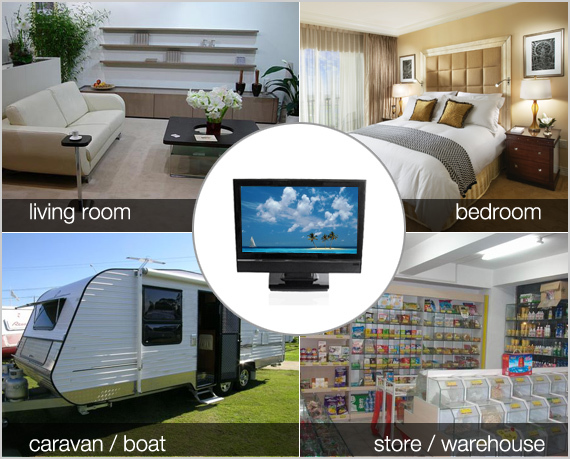 There are many benefits from this TFT-LCD namely comfort, safety, and environmental protection. The product features a colour-active matrix, Thin-Film-Transistor (TFT) Liquid Crystal Display(LCD) to provide superior display performance. A maximum resolution is ideal for displaying complex graphics and high definition images from your computer. Other outstanding features include freedom from video oscillations and selection of various choices of digital video and audio signal inputs. You will get the feeling that the large-sized surface of operation high-quality 2D stereo speakers and remote high-level amplifiers connections provides a coherent, top-of-the-line Audio and Video systems for viewing pleasure. In addition the TFT-LCD display allows "Plug & Play" connection to your PC and has a built-in On Screen Display (OSD) functions that can operate from the convenience of a remote control. Please note, this is a factory repacked product and has never been used, and it comes with 3-month warranty! Multi-digital input terminal provides a host of video and audio choices. Component (HD) inputs for high-quality pictures. Please note: Initial menu may be in German, simple instruction is included to change to English menu system.